The Edelrid HMS Bulletproof Screw locking biner is an innovative, robust HMS biner with steel insert at the apex (rope basket). Prevents premature wear and burrs or sharp edges. 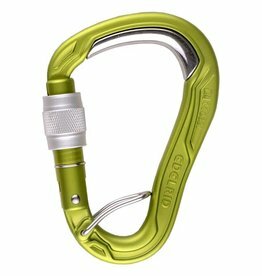 Also makes a lighter alternative to a steel carabiner for top-roping. The Bulletproof, with its stell insert, is ideal for rock climbing, snow and ice climbing, and indoor climbing. 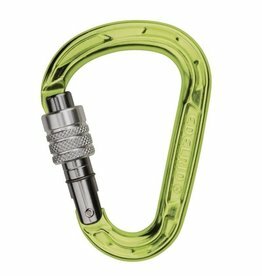 Very compact and lightweight HMS carabiner. Ideal for alpine climbing.